Free Giveaway : SUNDAY NOVEMBER 4 FREE LUNCH, GROCERIES, CLOTHING , HOUSEHOLD ITEMS!! (SPRING VALLEY) - GiftsDetective.com | Home of Gifts ideas & inspiration for women, men & children. Find the Perfect Gift. 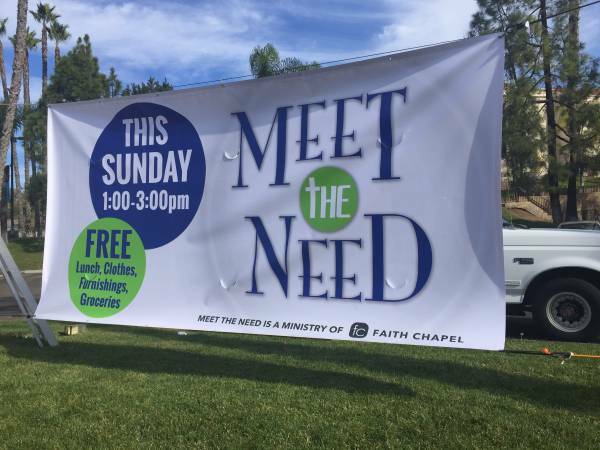 Meet The Need is here for YOU!! 1-3 pm for a FREE hot Thanksgiving meal, FREE clothing, FREE household items and FREE groceries! FREE Crafts for the kids!